CBD and Diabetes - Does Cannabis Help Diabetes? Diabetes Mellitus is a chronic disease characterized by either the pancreas not producing enough insulin or the body not being able the use the insulin that is has produced. Insulin is a hormone that that regulates your blood sugar. According to the World Health Organization (WHO), approximately 422 million people worldwide had diabetes in 2014. Type 1 Diabetes – Associated with deficient insulin production requiring daily doses of insulin. The lack of insulin production causes blood sugar to increase unnaturally, usually developed in childhood or adolescence, cause unknown. Type 2 Diabetes – Commonly called adult-onset diabetes, this form is characterized by the ineffective use of the insulin produced. This group comprises the majority of people with diabetes worldwide and is typically the result of excess body fat and lack of enough physical exercise. According to the 2014 National Diabetes Statistical Report by the Centers for Disease Control (CDC), a total of 29.1 million people in the United States has diabetes. 21 million have been formally diagnosed and 8.1 million people are undiagnosed. This means that 27.8% of people with diabetes are undiagnosed and therefore most likely unaware. In 2014, 8.5% of Americans 18 and older had diabetes. Almost half of all deaths attributable to high blood glucose occur before the age of 70 years. WHO projects that diabetes will be the seventh leading cause of death in 2030. One of the difficulties facing the scientific and medical professionals interested in curing diabetes is our lack of understanding of how Cannabis, CBD and diabetes in particular, affects metabolic processes as well as the complications from diabetes itself. Fortunately, animal studies offer rich data on such matters as the effects of Cannabis on rodents with diabetic-induced neuropathy. Neuropathy is defined as a disease or dysfunction of the peripheral nerves. More typically, this would affect your peripheral nerves as opposed to the central nervous system (brain & spine). Of particular interest is the fact that diabetic induced neuropathy is one of the complications for humans too affecting up to 40-50% of all diabetics. Examination Survey (2005 – 2010). Of the participants in the AMJM study’s sample, 579 were current Cannabis users and 1975 were past users. Results showed that current Cannabis use was associated with 17% lower fasting insulin levels. They also found significant associations between Cannabis use and smaller waist sizes. Epidemiologic studies (the study of disease) have also found lower prevalence rates of obesity and diabetes in Cannabis users compared with people who have never used. This more than hints at the existence of a relationship between cannabinoids and metabolic processes. It is estimated that of those adults over the age of 40 with diabetes, close to 30% have diabetic retinopathy which can result in a loss of vision. More studies need to be evaluated, but Cannabis users not only have significantly lower incidence of diabetes, medical research has found that properties in Cannabis like CBD can have the effect of controlling and even lowering inter-ocular pressure to healthier levels thus reducing the progression of glaucoma. In a 2006 study that was published in the American Journal of Pathology, diabetic mice were given CBD and examined to determine the rate of retinal degradation. The study found that doses of CBD significantly reduced the effects of oxidative stress and inflammatory response. Well-established in the medical community worldwide as an effective immunosuppressant, CBD has been found to encourage defensive immune recovery in diabetic mice. This method of modifying immune response is called immunomodulation. The objective is to change destructive, auto-immune responses into protective responses allowing the proper metabolic function to return. Numerous painkillers have been prescribed for neurologic pain over the years including many with severe side effects while both synthetic and natural cannabinoids, such as cannabidiol (CBD), have been demonstrated to be effective in treating diabetic pain without unpleasant or dangerous side effects. Orally administering a mixture of CBD and THC to diabetic-induced rats has revealed groundbreaking results. After 7 days of pain assessment, the rats were euthanized in order to analyze their nerve and liver tissue pathology. Upon final analysis the results were clear. The mixture was shown to restore pain perception in the paws and other sensory areas, and the CBD+THC exposed rat livers showed a reversal in oxidative stress-induced nerve damage. It has been determined that chronic inflammation plays an important part in insulin resistance and Type 2 diabetes, and the anti-inflammatory properties of cannabidiol have the effect of improving the body’s metabolism. Additionally, the immune system and sugar metabolism benefit from this anti-inflammatory effect. Dr. Murray Mittleman, Associate Professor of Medicine at Harvard Medical School and the lead author or the aforementioned study summed up much of our current understanding of the relationship between cannabis and diabetes… “The most important finding is that current users of marijuana appeared to have better carbohydrate metabolism than nonusers,” says Murray Mittleman, an associate professor of medicine at Harvard Medical School and the lead author of the study. As you can surmise, the most current, efficient, and potent forms of CBD have come a long way from thousands of years of hemp oil use for many of our common ailments. Today, scientist have leveraged their CBD bioscience linking CBD and diabetes after reducing the size of the CBD molecules to one millionth of their normal size. Nanoscience has, in fact, taken the lead in manufacturing, electronics, computers, robotics, as well as medicine and nutrition. 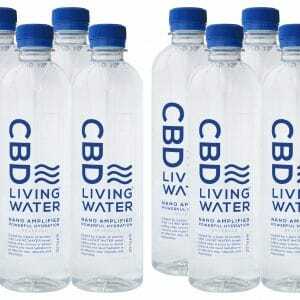 The term “Nanotechnology” is the operative word in CBD manufacturing because it allows for nano-sized hemp oil tinctures and even liquids like CBD Living Water. Hope this helps answer some questions you may have had. Sure wish I could change my “Use Any Organ” permission on my Driver’s License to “For Cannabis Research Only” …How about you? Please don’t leave without making a comment below.